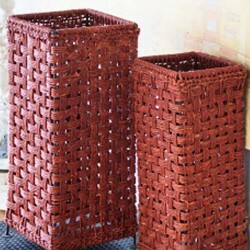 Sturdy dustbin made of wrought iron and Sabai rope, easily maintainable.Sabai Grass, is hand wo..
Made of golden grass, exclusively designed with a cloth border running around.The stem is golden, he..
Its an amazing corner piece, This simple yet elegant decorative piece, made of Sabai Grass.. 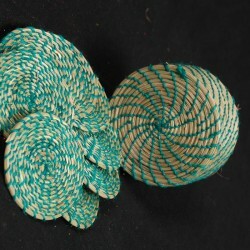 Tea Coaster made of palm leaf. 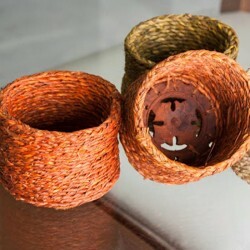 has a hole in the center to give a cute look. 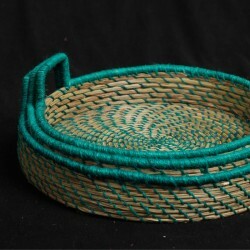 Very useful for keeping.. 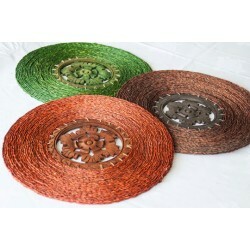 This product made with dried ropes of sabai grass is woven by folks of Odisha with fine techniq..
Made of sabai grass with a handle. 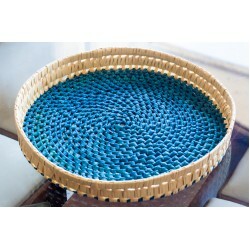 The water remains cool. 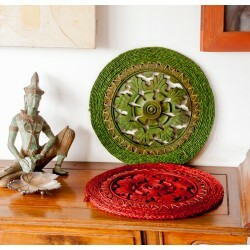 Sabai Grass, is hand woven intricate.. 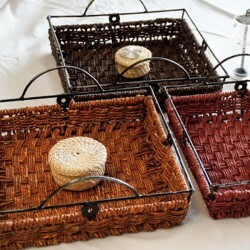 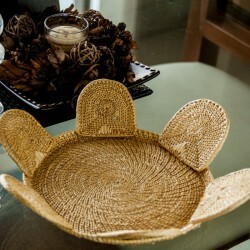 Wedding trays beautiful chick looking trays made of Palm leaf woven in 2 different weaves. 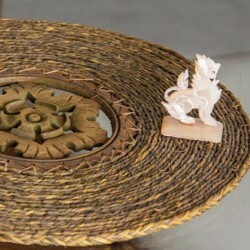 Eco-..
Carved wood with sabai grass. 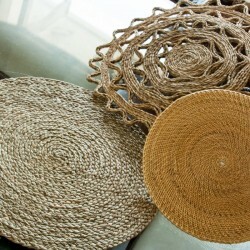 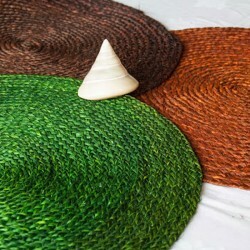 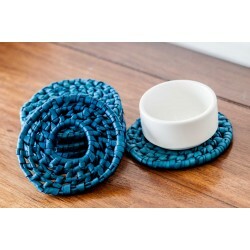 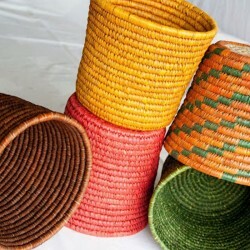 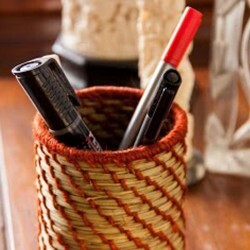 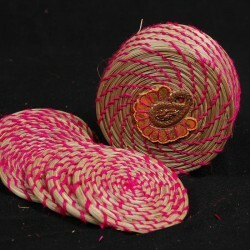 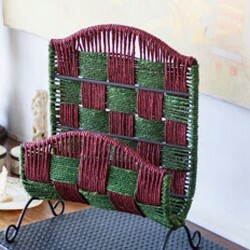 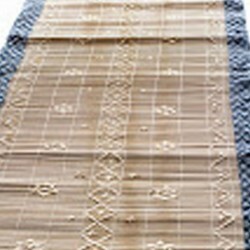 Sabai Grass, is hand woven intricately into ropes and given its f.. 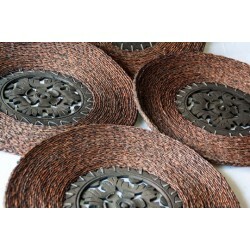 Beautifully carved wood entwined with sabai rop used for decorating walls. 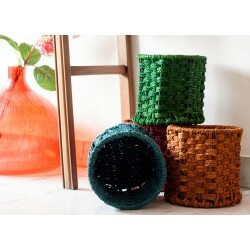 Adds aesthethic beauty an..
Made of sabai grass, is hand woven intricately into ropes and given its final shape by the rura..